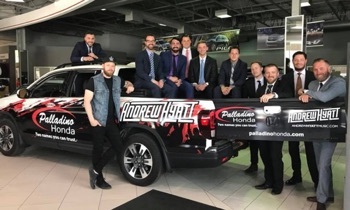 At the Palladino Auto Group, we live by a few basic principles—work hard, work smart, and have fun doing it. We build teams that work together like a family since this company has grown from family. It’s our enthusiasm, knowledge, and passion that complete our winning trifecta. 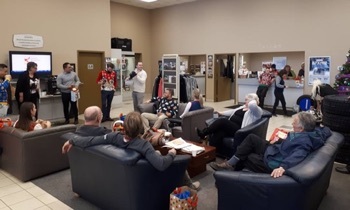 We believe it is important for our teams to mesh together at work and at play which is why we have annual events like BBQ’s, our Christmas Party, and team building outings to solidify these team values. Our amazing team and capable coaches are helping this Group reach new heights! Our employees will testify that working for the Palladino Auto Group means being a part of a culture that is centered on our people. Our employees are successful and happy due to the respect they have for their mentors, and the respect and value they have and feel in the workplace—a value that stems from Vince Palladino himself. 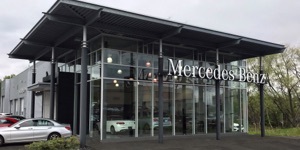 We take pride in our exceptional customer service and will always take time for our people. Our people are what make up our culture—We want you to be a part of this too! 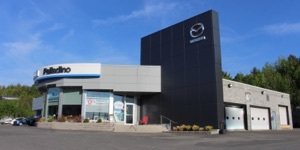 You feel the difference when you are in one of the stores of the Palladino Auto Group. We are a family, and our team showcases that brilliantly. Come and see for yourself and join the family! 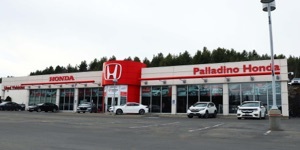 Vip Palladino, Vince’s father became the first Honda dealer in Northern Ontario after taking a 1975 Honda Civic for a 5 minute test drive. 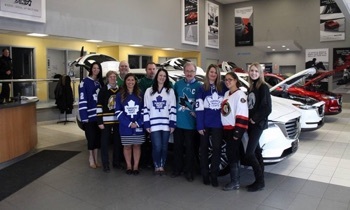 The Palladino Auto Group hosts an annual golf tournament to support the NEO Kids Foundation in Sudbury. To date we have raised over $400,000 and the Palladino family personally donated $500,000 in November 2016. 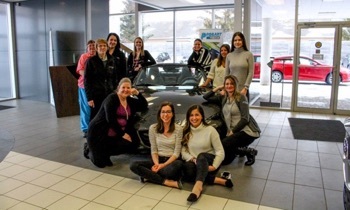 Organizations such as the NEO Kids Foundation are near and dear to the hearts of many in North Eastern Ontario, including the Palladino team, and we take great pride in hosting an annual golf tournament fundraiser to support them. We have been fortunate to surpass our fundraising goals each year—having raised over $300,000 to date. Along with the tournament, the Palladino family personally donated $500,000 in November of 2016. 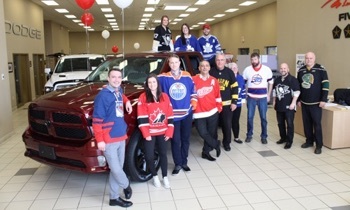 Palladino Honda has also participated in the Coats for Kids campaign and collected thousands of coats over the last 6 years to help keep Sudbury families warm throughout the winter. 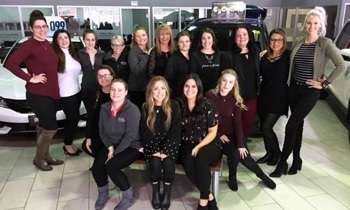 Another initiative that Palladino Honda, Palladino Mazda, and Laurentian Chrysler participate in is the All I Need For Christmas campaign which is organized by the Infant Food Bank of Sudbury. All baby related donations are collected at our Sudbury locations to make sure that even the littlest tummies are filled over the holiday season. This is our newest endeavor but one we feel strongly needs to be addressed in our communities. 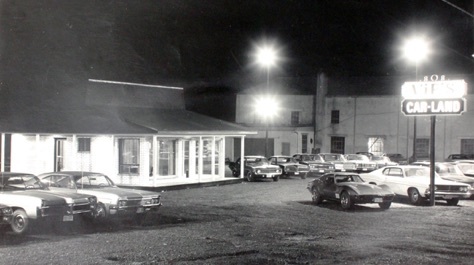 Vip Palladino had three used vehicle locations in Sudbury—collectively named “Vip’s Car Land”.